An extended reach hedge trimmer for homeowners that is well balanced and feature rich. When hedge trimming at home requires a bit more reach, it’s time to reach for the STIHL HL 45 extended reach hedge trimmer. It features a 26” long shaft, giving homeowners the reach of a professional landscaper in a value package. 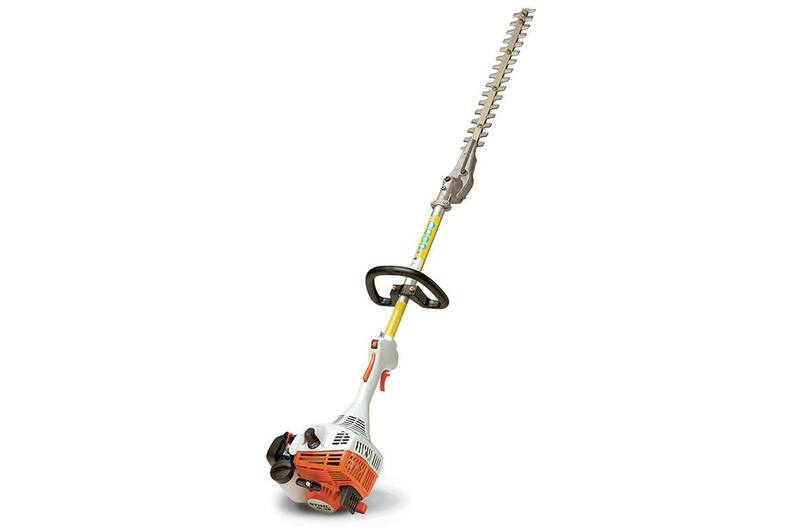 Its 20” blade is double-sided and features an integrated cutter guard, perfect for trimming tall or wide bushes and hedges. The HL 45 is also powered by an engine with four transfer ports for increased power and fuel efficiency. 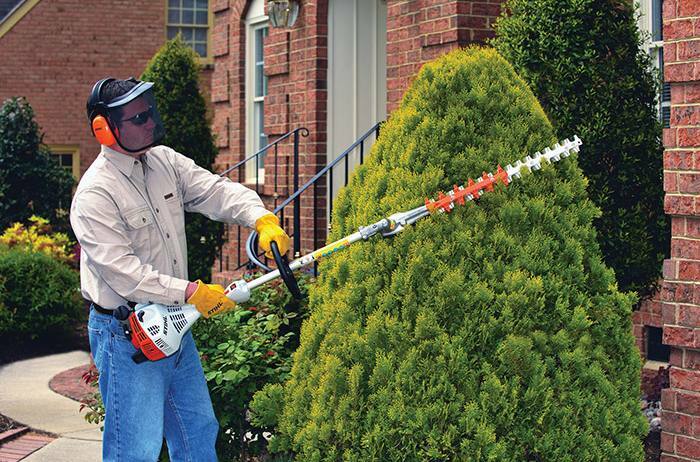 Give your hedges a smooth, uniform look – even in those hard-to-reach areas – with the STIHL HL 45.